TOKYO (CNS) — Catholic bishops in the Philippines are speaking out against the imminent reintroduction of the death penalty, but many citizens in the predominantly Catholic country have rallied around the tough-on-crime approach of President Rodrigo Duterte. The Philippine House of Representatives will vote by the end of this year on reinstating capital punishment, a sentence one opposition lawmaker has called “the worst Christmas gift” for the Philippine people. One archbishop dubbed the move a lazy dodge instead of helping offenders. Amid his war on drugs, Duterte has presented the death penalty as an essential deterrent to crime. He has strong support in this from lawmakers. Diokno said while there have been no recent polls to provide figures, support for the move from citizens likely stems from those who are fed up with the Philippines’ weak justice system. Critics allege routine shoddy work by police investigators and note that prosecutors bring only one in five cases to trial. In 1987, the Philippines became the first Asian nation to abolish the death penalty. It reinstated the punishment from 1993 to 2006, but critics say convictions were rife with errors and were applied overwhelmingly against the poor. A case in 2004 revealed a 71 percent wrongful conviction rate by lower courts. As the nation races toward reinstatement, Catholic bishops are speaking up. Cardinal Luis Antonio Tagle of Manila told worshippers Dec. 11 that God does not give up on sinners, and neither should the Philippine people. A prayer against the death penalty read in Manila parishes Dec. 10-11 spoke of “a cry for vengeance” disguised as a call for justice, reported Reuters, the British news agency. In a nation where at least 80 percent of people are Catholic, the Catholic Bishops’ Conference of the Philippines is urging unity among clergy. But some observers say to reach a full audience, the bishops must not appear to be anti-Duterte. “Many Filipinos do not like it when priests use the pulpit to talk about politics,” said Jayeel Serrano Cornelio, director of the development studies program at Ateneo de Manila University. Cornelio notes that in 2012, the Philippines introduced universal access to contraception, a measure 71 percent of adult Catholics supported, but which the church opposed. Nevertheless, Cornelio said, the church can be an effective counterpoint to an authoritarian state. Duterte won the presidential election this year pledging to drive down crime. He has claimed that in his previous role as mayor of Davao City, he personally executed crime suspects to show police officers that he supported a no-questions approach. Around 5,000 drugs suspects have died in street killings nationwide since July, when he became president. Advocates of the death penalty bill are strongly dismissive of the church’s position. House of Representatives Speaker Pantaleon Alvarez, a co-author of the law, mocked the bishops’ approach. “Here comes the church, (which) wants to protect the evil-doers. Why do you want to protect evil? 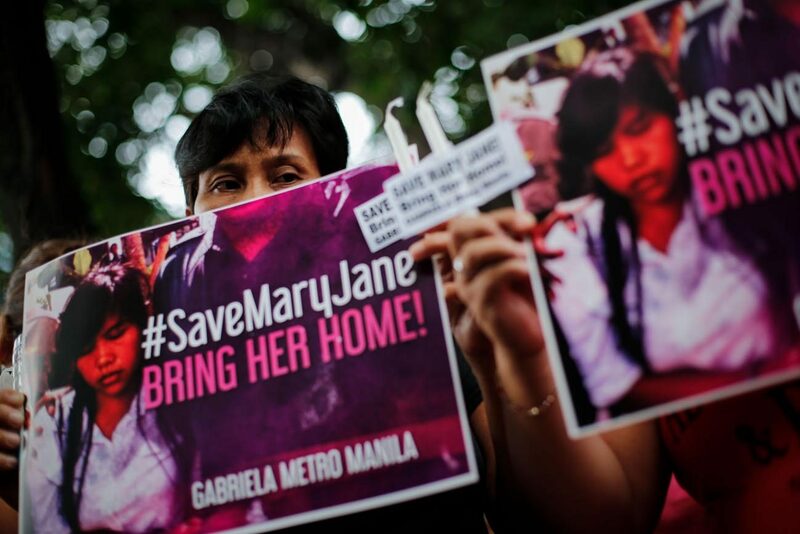 Why do you want evil to triumph over good?” he told the Philippine social news network Rappler.